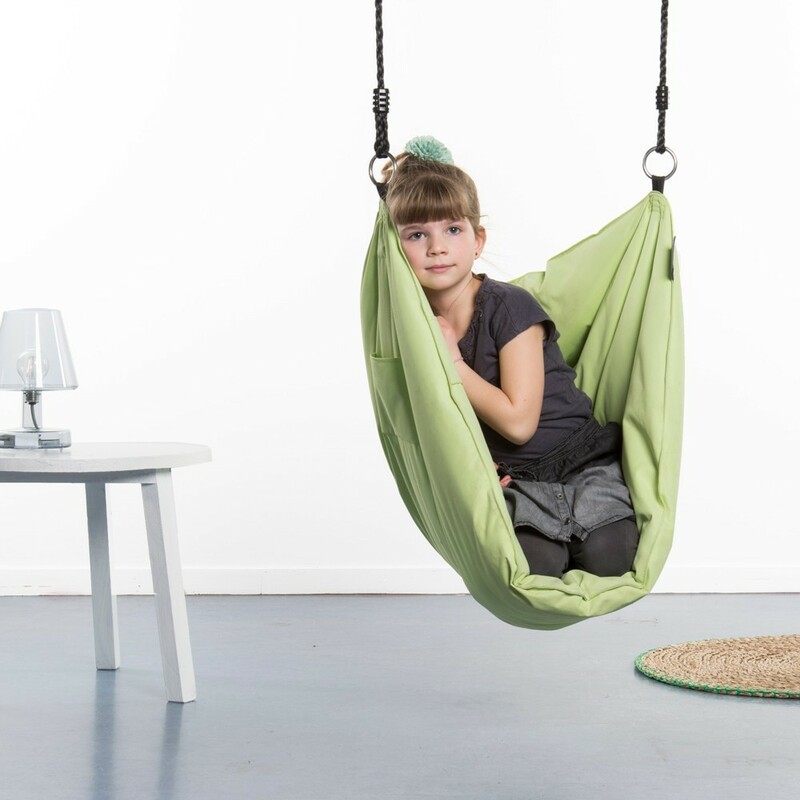 This cosy Hoya swing chair is ideal for relaxing moments. It can be installed indoors or outdoors and is available in 5 colours. 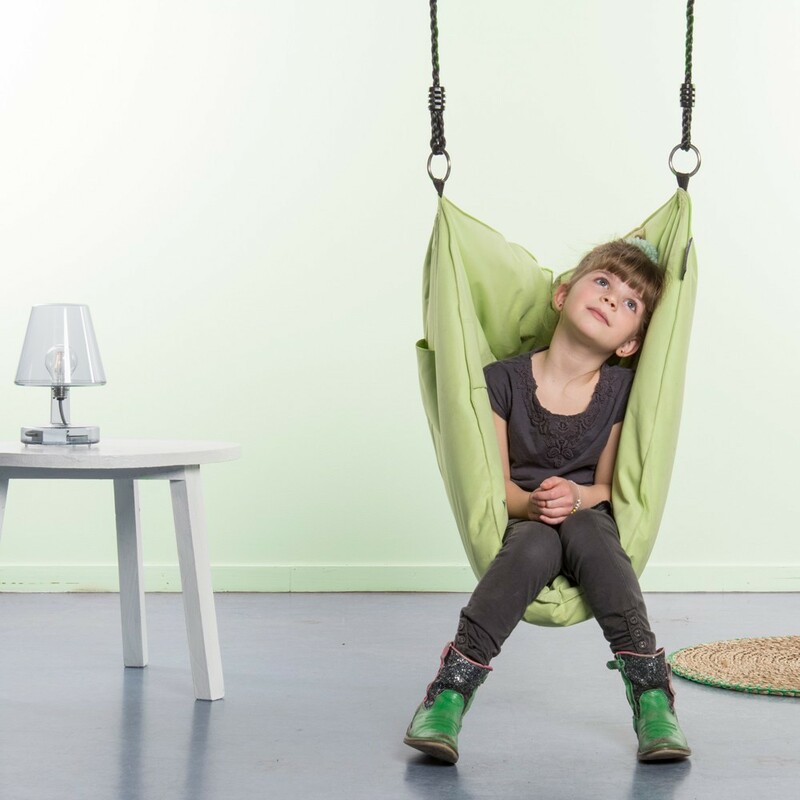 Fall for our Hoya swing chair, an orignal swing chair which invites relaxation and well-being. Kids and adults will be won over by this orginal and ultra-confortable desing. 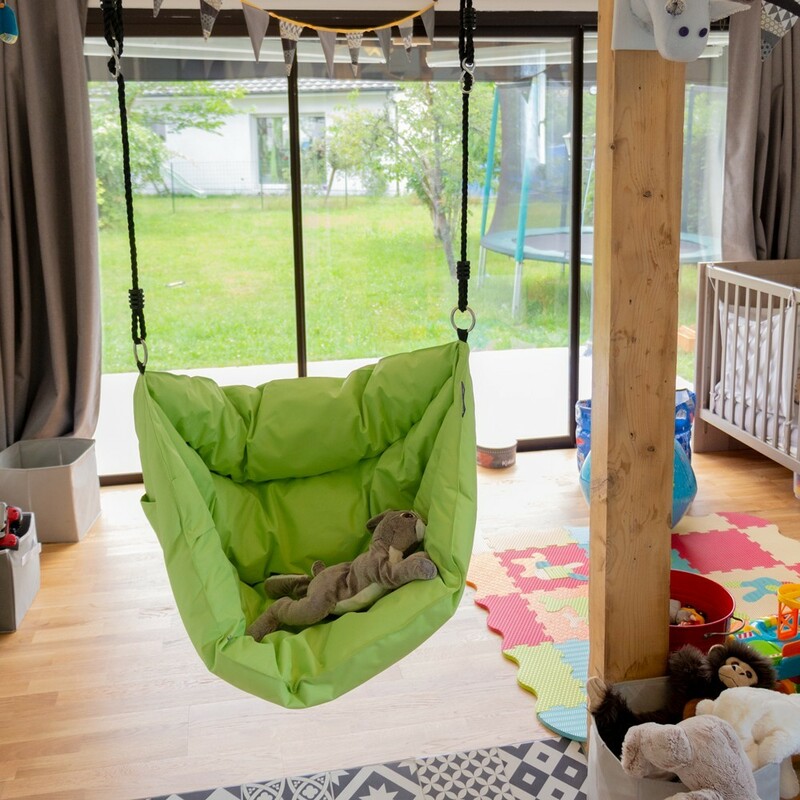 - The modern and cosy design of the Hoya swing chair will easily fit into your lounge or bedroom decor and can even be installed outdoors, accompanying you during your favourite relaxation moments ! 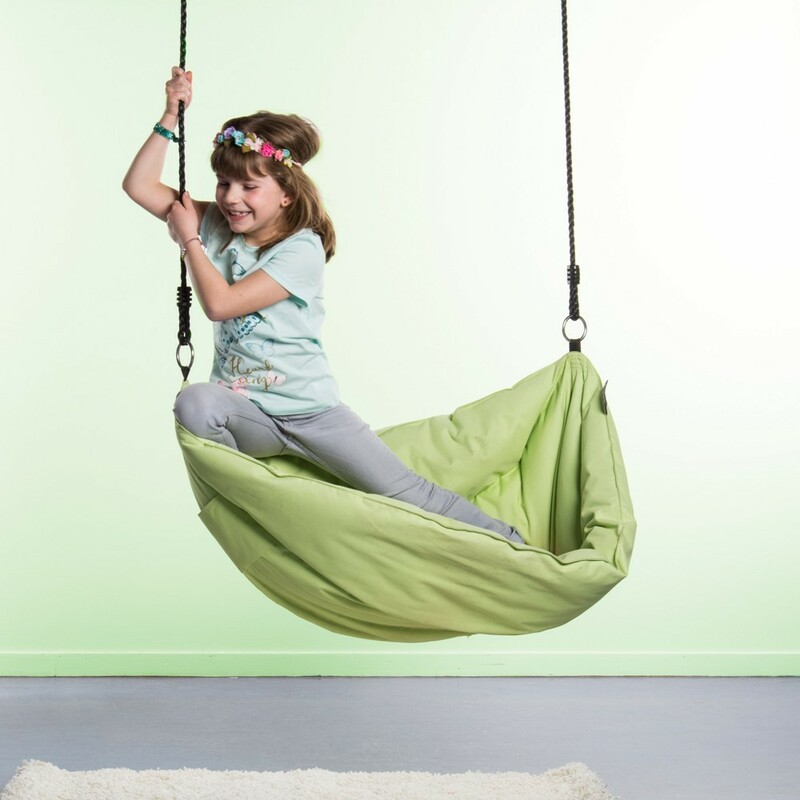 - Made from resistant polyester material, this swing chair is soft to the touch. 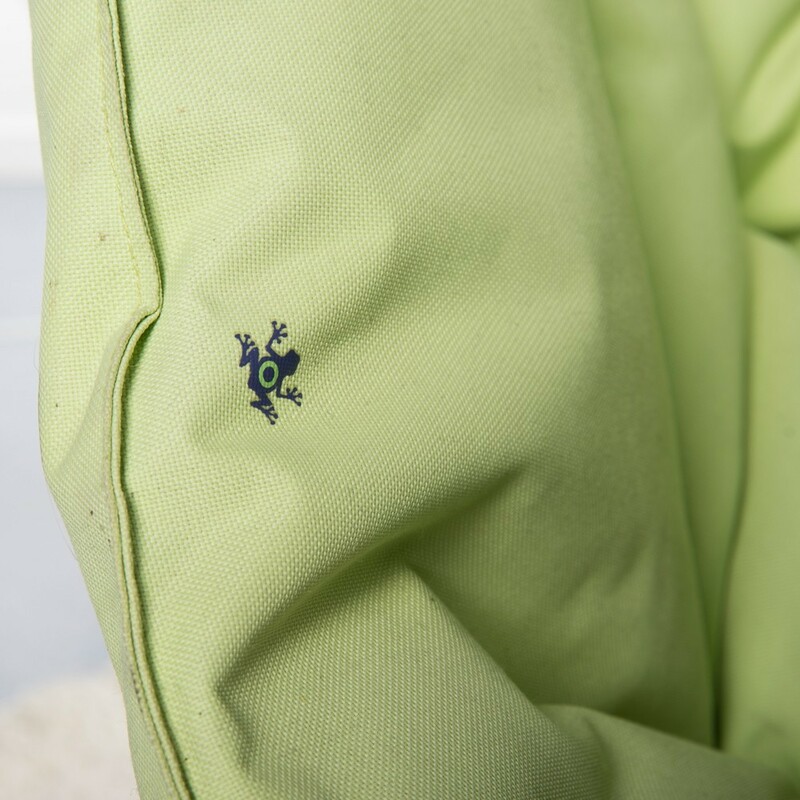 To allow indoor or outdoor installation, this swing chair is made with water-repellent fabric. 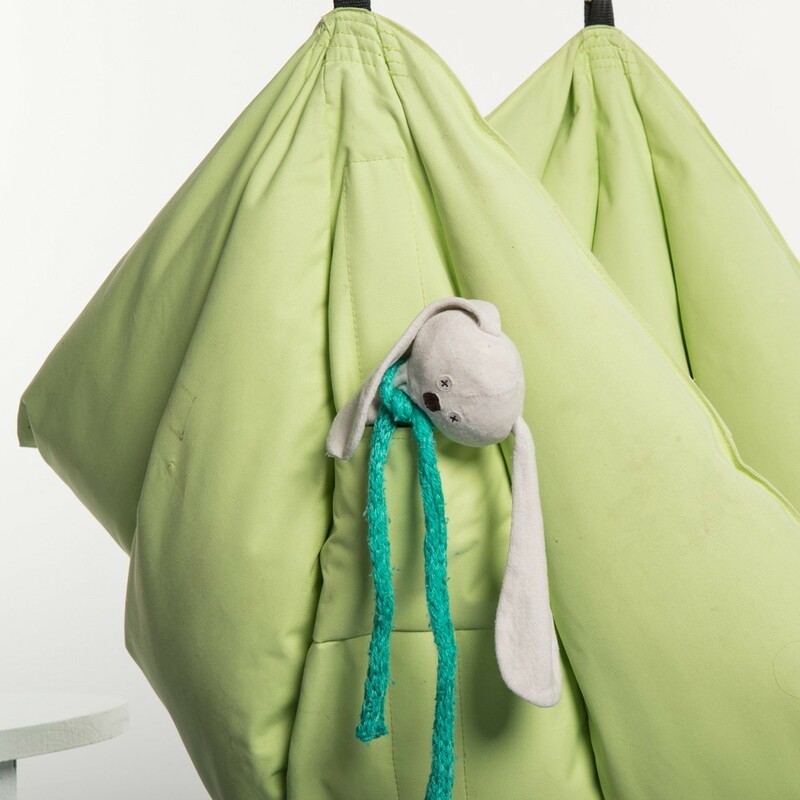 - Delivered ready to install, your swing chair is easily fixed thanks to 2 attachment points. 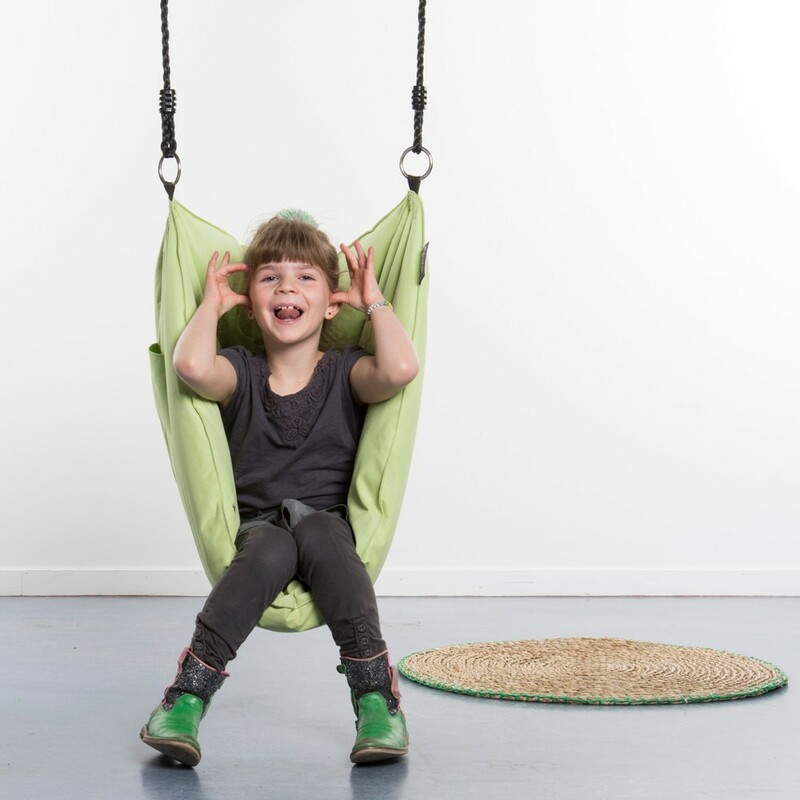 - Our Hoya swing chair is available in 5 colours ! 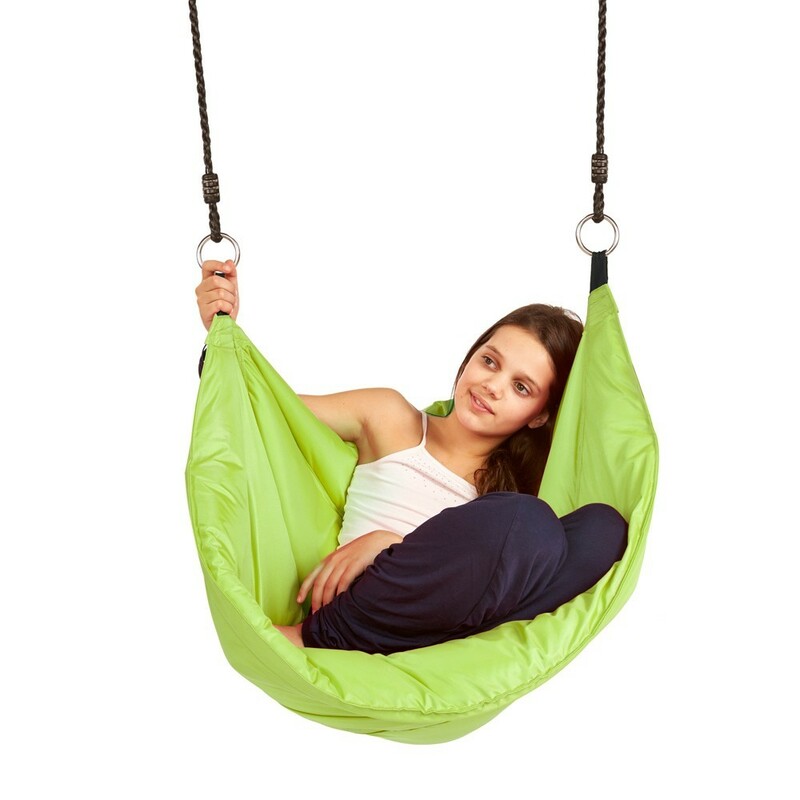 - This swing chair supports up to 120 kg (19 St.).